Dutton Children's Books. 48 pages. NCSS-CBC Notable Children's Trade Book in the Field of Social Studies. Dutton Children’s Books. 48 pages. "The true adventures of eight travelers who followed their dreams, regardless of setbacks and sometimes insurmountable obstacles, are chronicled in this effortless combination of geography, history, and biography." 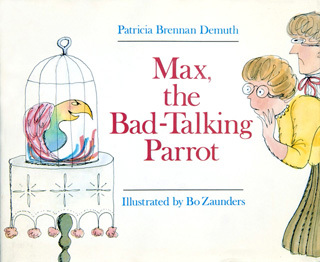 "[An] absorbing picture book...readers can't help being drawn in by these dramatic incidnts. Informative and supremely entertaining, this book demonstrates that reading can be a great adventure, too." Notable Children’s Trade Book in the Field of Social Studies by the National Council of Social Studies and the Children’s Book Council. 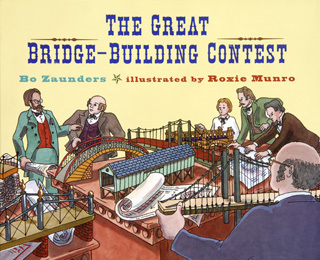 The true story of an unlikely hero - a 19th century West Virginia furniture maker with a third grade education who, through humor, showmanship, and know-how, built one of the country's most famous covered bridges. Almost destroyed during the Civil War, the great bridge still stands today. Eighteen other US covered bridges are featured. Dutton Children’s Books. 32 pages. “The watercolor cartoon illustrations complement the humorous text. “Won’t you let me take your hat?